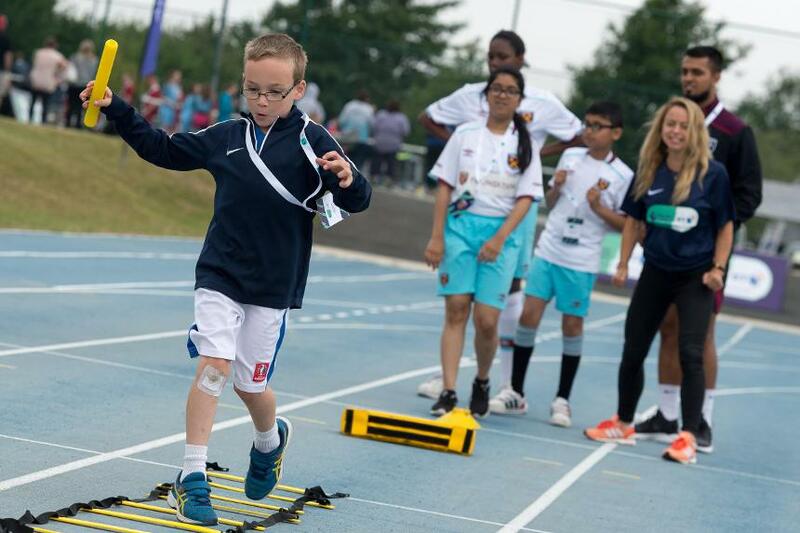 Participants from the Premier League and BT Disability programme showcased their abilities in a special Festival of Sport event at the Stoke Mandeville Stadium to celebrate the first successful year of the Premier League and BT's partnership. The Festival of Sport was hosted by BT presenters Abi Griffiths and Jake Humphrey, and involved participants from 20 clubs, who run the Premier League and BT Disability programme, take part in a range of different sports, including athletics, new age kurling and basketball, working on their own personal development throughout the event by recording their best times and results at each sports station. 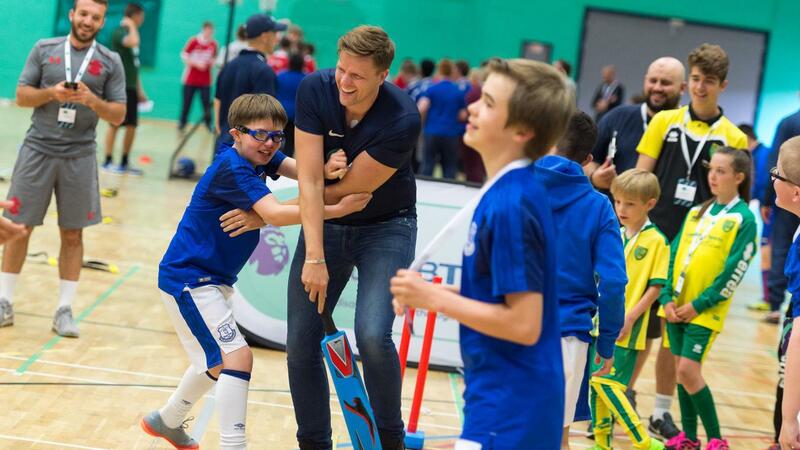 "It's amazing to see all of these young kids, giving it their all, and just having a brilliant day," Jake Humphrey, BT Ambassador, said: "There's a good competitive spirit. "The important thing, is that without this Premier League and BT initiative, a lot of these groups wouldn't be put on because it just costs so much money and the finances simply wouldn't be there. You come on a day like this and you see that absolutely it is making a difference. It's really important." The programme looks to encourage disabled people to be more physically active and to help access talent pathways and more mainstream opportunities. Other supportive work has been done in partnership with the clubs, The Shippey Campaign and The Lord Taverners to implement sensory rooms at stadiums, following successful introductions at Middlesbrough, Sunderland and Watford. "The Festival of Sport was designed to bring together the inspiring individuals from clubs who have been taking part in disability sessions over the past season, to share their stories and experiences, whilst also trying a range of different sports," said Nick Perchard, Premier League Head of Community. "The event has been the perfect way to celebrate the first year of the partnership with BT and to showcase the great inclusive work that clubs are delivering week-in-week-out. I look forward to seeing how this programme continues to develop over the next two years."